Y Garn has been beautifully converted from the original farmhouse to create a marvellous retreat for families and friends alike for self catering holidays, sleeping up to 7 people. Y Garn of Garn Isaf, Abercastle, St Davids, Pembrokeshire (Sleeps 1 - 7). The farmhouse includes a king sized master bedroom, another king sized bed on a mezzanine floor with single bed below and a twin bedroom. The short stroll down to the seashore and coast path at Abercastle provides a draw for the energetic. The interior is stylish and has been designed to make the most of the slate floors, stripped floorboards and exposed walls. The sheltered, enclosed garden and patio offer extra space to take advantage of Pembrokeshire's mild climate whatever the time of year. 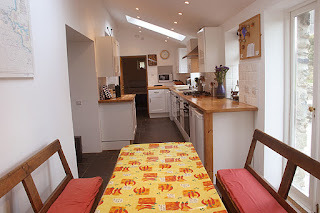 Boathouse Cottage, Norham, Scottish Borders. Potters Barn & Well Cottage, Gosforth, Cumbria. 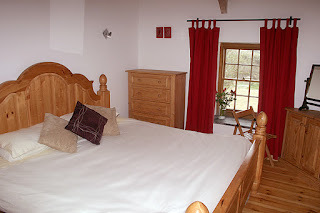 Blaenau Mawr Holiday Cottages, Cwmdu, Powys.